What do you intend to do with your property? If you're filing bankruptcy, what do you intend to do with the property that acts as collateral for your debts? Even though the debt might be discharged, the security agreement isn't, and the creditor still has a right to use the collateral to satisfy at least a portion of the debt. Another one of the myriad documents that you must complete when you file for bankruptcy is Official Form 108, called the "Statement of Intention." This document tells the bankruptcy trustee, the judge, and your creditors what you intend to do with certain property and certain leases. The Statement of Intention can also affect how the automatic stay operates. You can download and fill out the Statement of Intention form here. The first portion of the Statement of Intention asks you to "List Your Creditors Who Have Secured Claims." You may recall that this means secured debts. This section does not reference any secured debt, but debts that are secured by property of the estate. 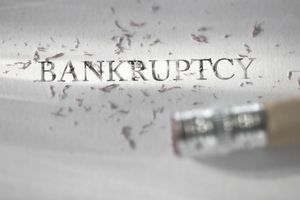 Upon the filing of a bankruptcy case, all of your property becomes the property of the bankruptcy estate, which is administered by the trustee (except any property that you exempt). For Part 1, you must first list the name of the creditor of the secured debt. For example, if the secured debt is a home mortgage, list the name of the lender under "Creditor's Name." Next, you must give a description of the property that secures the debt under the section "Description of Property Securing Debt." For example, you would write down the address of your home if the secured debt is a home loan. After these sections, there are check boxes to explain what you want to do with the property. Surrender the Property - turn it back over to the creditor in exchange for discharge of your obligation on the debt. If you choose to keep or "retain" the property, you must then choose whether you will "redeem" the property or "reaffirm" the debt or propose some other action. Retain the Property and Redeem It - Redeeming the property involves paying the creditor the retail value of the property at the time you filed for bankruptcy, even if you owe more on the property than it is worth. Doing this requires you to file a motion with the bankruptcy court. Retain the Property and Reaffirm It - You can also check the "reaffirm" box, which means that you wish to take the debt on again. This means that the debt will survive the bankruptcy. Retain the Property and [explain] - You will generally check this box if you want to continue paying the creditor pursuant to your original agreement (although there are other options). If you check this box, you need to write a short explanation of what you want to do with the property, such as retain it without reaffirming and continue making payments. The last two boxes in Part 1 require you to indicate whether or not the property is claimed as exempt. You must fill out all of the above for each item of property which is secured by property of the estate. Recall that this is usually a home mortgage and a car loan for most individuals (although it may include other items). Part 2 of the Statement of Intention asks you about personal property that is subject to an unexpired lease. This refers to personal property that you have leased from a creditor. For example, if you are leasing a car, you will need to tell the court what you want to do with the lease. Like in Part 1, you must write down the name of the lessor. The lessor is the person that is leasing you the property (e.g., the car company). Next, you must describe the leased property. This is usually straightforward. For example, for a leased car, describe the make and model of the vehicle. The last question to complete for Part 2 is "Will the lease be assumed?" If you want to keep the property and continue paying the lessor, you must check the "Yes" box. If you no longer want to keep the lease, check the "No" box. As with many other bankruptcy forms, you must sign and date the Statement of Intention under penalty of perjury. To learn more about what this means, see Perjury in a Bankruptcy Case. Can Your Bankruptcy Discharge Be Denied? What is a bankruptcy Reaffirmation Agreement? How Long Does Bankruptcy's Automatic Stay Last?